Merry Christmas! What makes Christmas special to me? My family. Sharing in the joyous event of Christmas is made better by having my darlings to share it with. One of our first Christmas events is a Christmas party through my work. 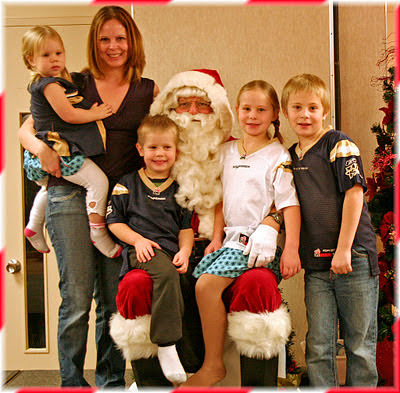 The kids have bounce houses, cookie decorating, face painting, tattoos, presents, juice and of course Santa! We were all decked out in one of our favourite sports team attire for the event. My baby doll was a little nervous of the big red man, so I was lucky enough to be in this years Santa Photo. Usually it is my hubby, but this year he manned that camera. 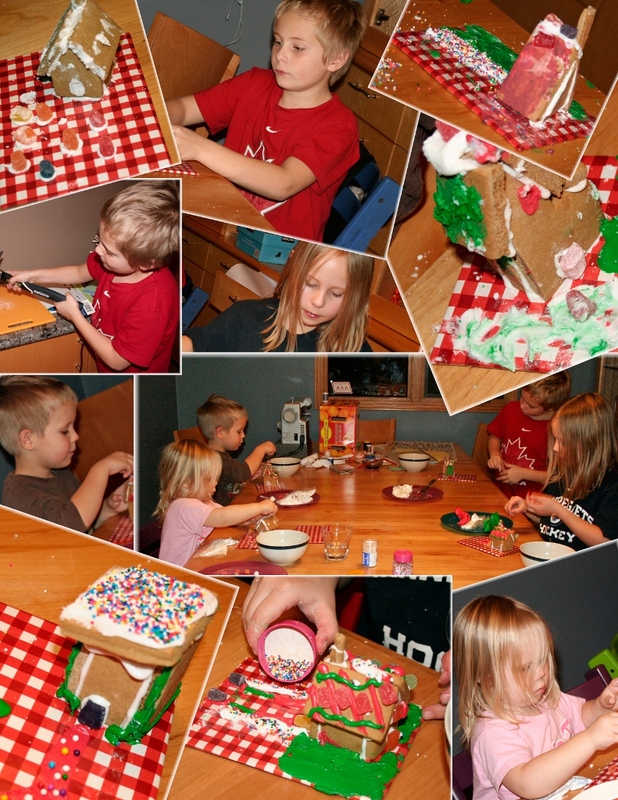 Next up, Gingerbread House decorating! I have been doing this with the kids since my first was 2. Each year it is a little different and this year I bought a gingerbread village so the kids could each have their own. They were thrilled to have their own. Next year I may try to be more organized and kick it up a notch. My baby doll had her house decorated, undecorated, decorated, undecorated....until finally in the end, no candy on the house. It was a fun evening. 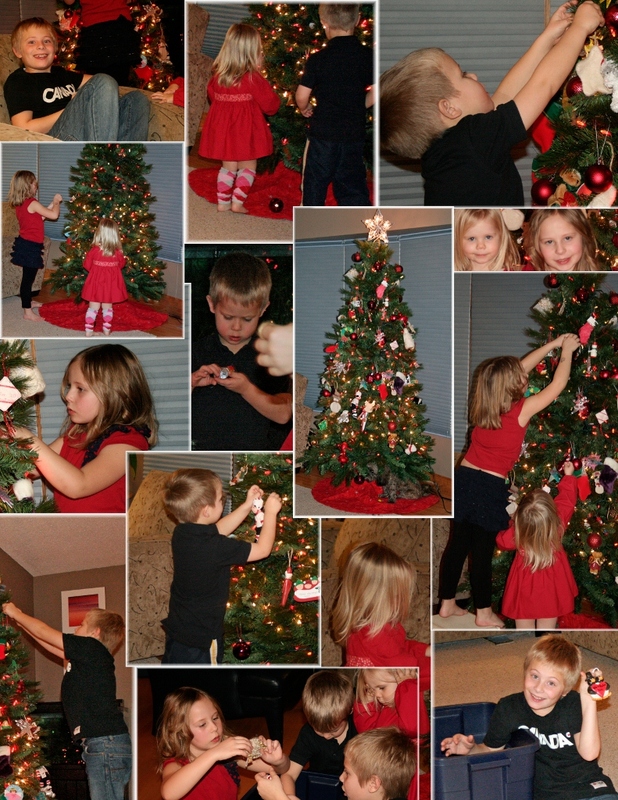 My absolute favourite thing to do, decorate the tree with my kids. 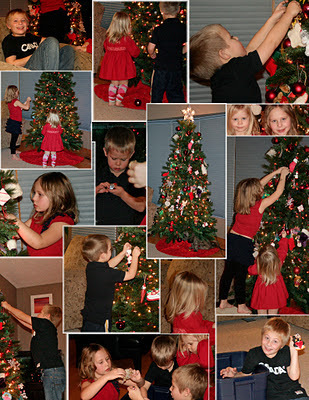 Years ago my husband and I discovered that we have different ideas about decorating the tree, I love it, he does not. Luckily I have my kids to share this with me. It is one of the most magical time of the year. The kids are thoughtful, happy, careful and they do an amazing job. I get teary eyed when I stand back and watch them.